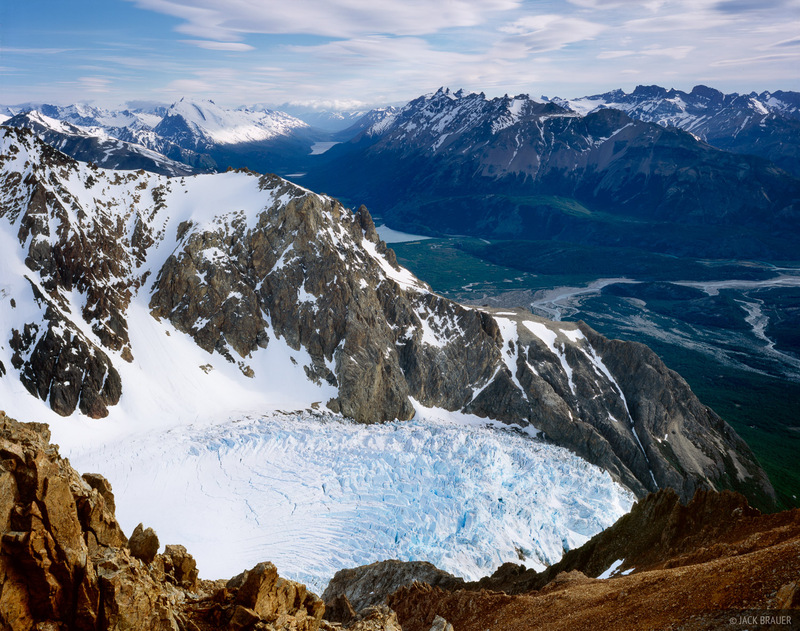 Looking down at Glaciar Piedras Blancas from the summit of Cerro Madsen, November. Parque Nacional los Glaciares, Argentina. Photo © copyright by Jack Brauer.